I feel fairly indifferent about Fixing Delilah. It’s a fairly predictable story, ad while it seems like a book I’d love, that wasn’t the case with this one. I think the biggest problem was that I didn’t care. I will say, I was surprised by who her father was, because I was totally predicting that her deceased aunt was really her mom. So I wasn’t completely off, and I don’t blame Delilah for being mad at her mom- and pushing her away too. Because sleeping with your sister’s boyfriend right after your sister’s funeral? I’m trying to understand but it’s really hard. And I know that it caused this huge fight with Delilah’s grandma, and I can understand why it’s hard to talk about, and even how Delilah’s mom got so caught up in it that she couldn’t tell Delilah the truth for a really long time, but for whatever reason, it just made me not care. The family history, and all of the problems and secrets we uncover had a lot of promise, and it was clearly very painful for Delilah’s mom and aunt, and it couldn’t have been easy to go back to that house after everything that happened. I just wish I were more invested in the characters, because it didn’t have the impact I was expecting or hoping for. The family dynamics were definitely the book’s strong point, but it did seem like Delilah made everything about her, much more than was really necessary. I did like that she reconnected with an old friend, and that even though they had some problems, it seemed like things were headed in the right direction. Although, it was weird, since they hadn’t talked to each other since Delilah was last there, for her grandfather’s funeral. It’s fairly insta-lovey, now that I think about it. 2 stars. 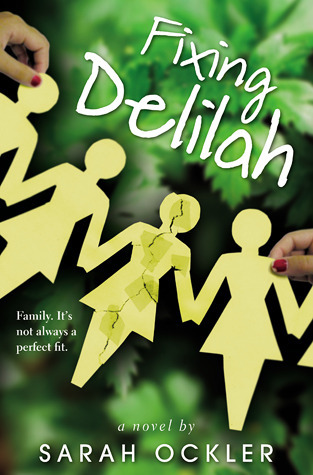 The family dynamics were interesting, and the strongest part of the book, but unfortunately, it didn’t have the emotion I was expecting, and I had a hard time caring about the characters, even though understood why the people in Delilah’s family acted the way they did.